I seem to have a ton of properties waiting in my 'to do' list at the moment, so let's start with a trio of Scottish homes-in-waiting. First, please stop sending me emails about Cavers Castle. Lots of you have emailed me about this one and while yes, it's an interesting wreck steeped in history, it's also an over-priced ruin in a difficult location (think big machinery and access roads), with no services and no planning permission. There are wrecks and there are follies, Cavers is in the latter category. Incidentally, the castle's ruined look isn't the result of hundreds of years of dereliction. In 1953, then owner James Palmer-Douglas let the British Army use it for explosives tests. Lovely though it is, Cavers isn't a job for the likes of us; it's the sort of thing the National Trust for Scotland should have taken on years ago. Shame on you NTS. More wreck than ruin however is Cuither House, pictured at the top of this post and below. A former manse recently used as a B&B, sent to me by reader Tony. 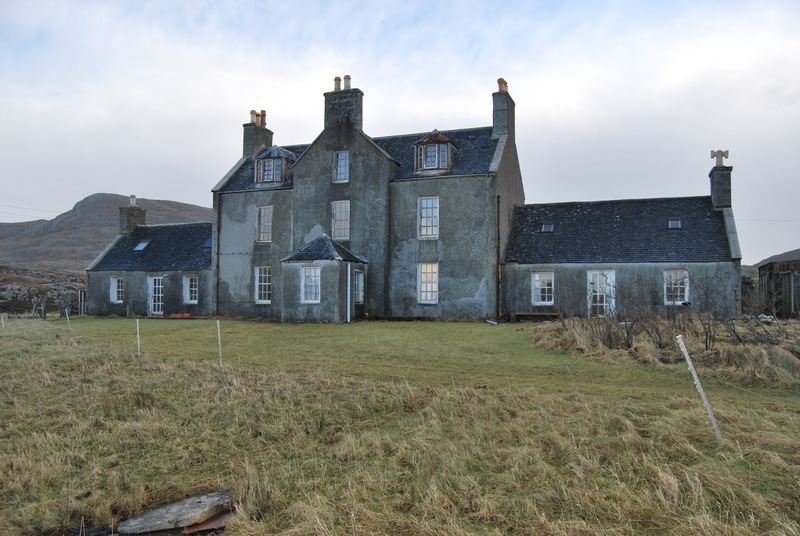 The five-bedroom, two bathroom house is at Grean, on pretty Isle of Barra. 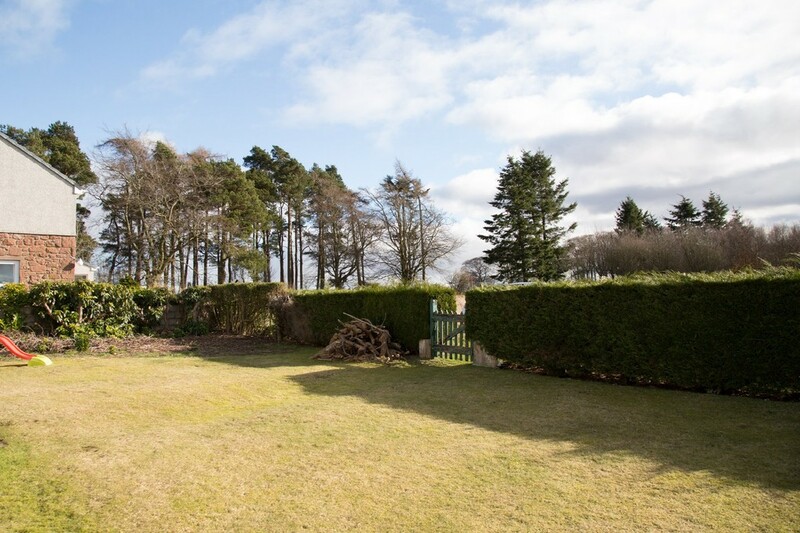 It comes with two acres of land, including a walled garden. 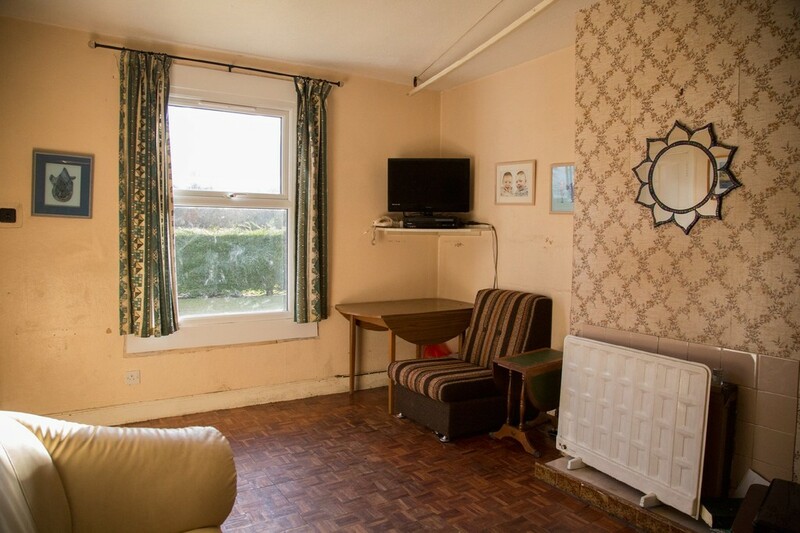 According to agents Anderson banks, it's in need of "substantial renovation and modernisation". Cuither (or Cuier) House is also category B-listed by Historic Scotland. On the market at £140k via Anderson Banks. Details here and here. 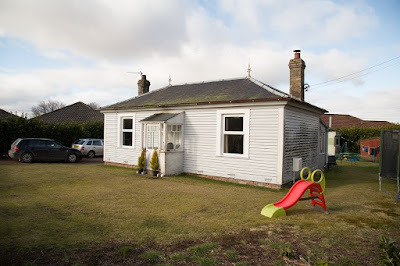 Finally, this rather more manageable (and exceedingly cute) bungalow, below, in Kirriemuir. It's on the market at offers over £78k through Martin & Co. Details here and here.